This is one where Congress can make a difference. 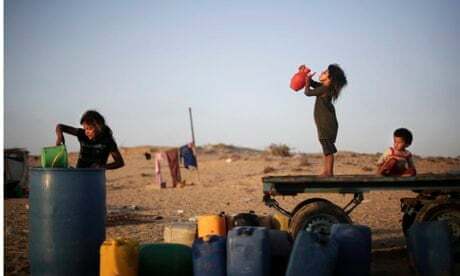 Before this summer's bloody Gaza war, the water situation in Gaza was dire. Today, it's catastrophic. Two pipelines currently bring water from Israel into Gaza and a third--which could double the amount of potable water flowing to Gaza--has never been turned on. The activation of this pipeline is being held up in a highly-political set of negotiations related to the Gaza cease-fire that may never reach frution. But this isn't about politics--it's about ending a humanitarian crisis. Please--contact the Israeli Embassy in Washington and urge Israel to turn the water on.